Before spending the cash on expensive, full-size aircraft prototypes, US Air Force engineers needed a way to ensure that their experimental designs actually, well, worked. Their solution — an airborne flight simulator mounted on the front of a transport plane. 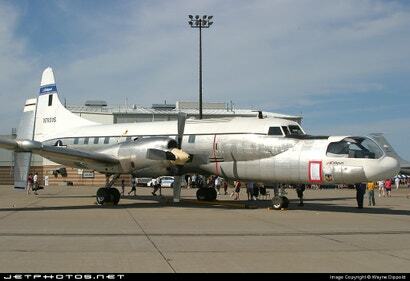 The Total In-Flight Simulator (TIFS) is based on a heavily modified Convair C-131 Samaritan turboprop. 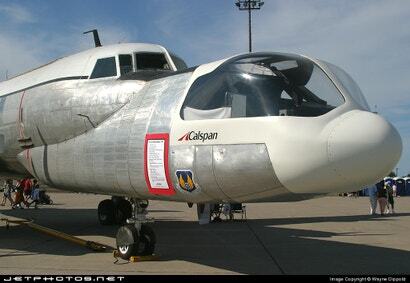 It was operated by the USAF with the Wright-Patterson based 4950th Test Wing in conjunction with the Calspan Corp (originally the Cornell Aeronautical Laboratory of Buffalo, New York) under a Cooperative Research and Development Agreement (CRADA). The original C-131 was built in 1955 and Calspan spent from 1967 until 1970 on the modifications including replacing the 2100HP Pratt & Whitney engines with a pair of 4368HP Allison turboprops. The engine modifications granted the TIFS a cruising airspeed of 450km/h (507km/h max) with a range of 1200 nautical miles and a 16,000-foot (4876m) service ceiling. Other modifications included extensive fuselage stiffening, the addition of vertical fins on the wings, and, oh yeah, the second cockpit. This extra nose is where the simulation action actually happens and plays a dual role in testing. It first acts as a two-seat simulation cockpit packed with on-board computers. 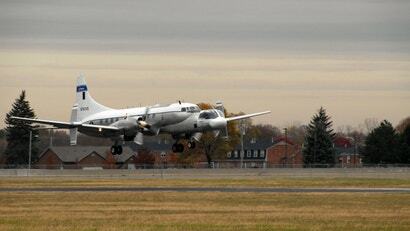 By leveraging special aerodynamic controls and model-following control systems with interchangeable and reconfigurable instruments and displays, the TIFS can effectively simulate the responses of numerous aircraft — anything from a 747 to a space shuttle (no word on if it can do a 737 piggybacking a space shuttle though). A secondary pair of "safety pilots" monitor the simulation from the original cockpit and can step in if something goes wrong. 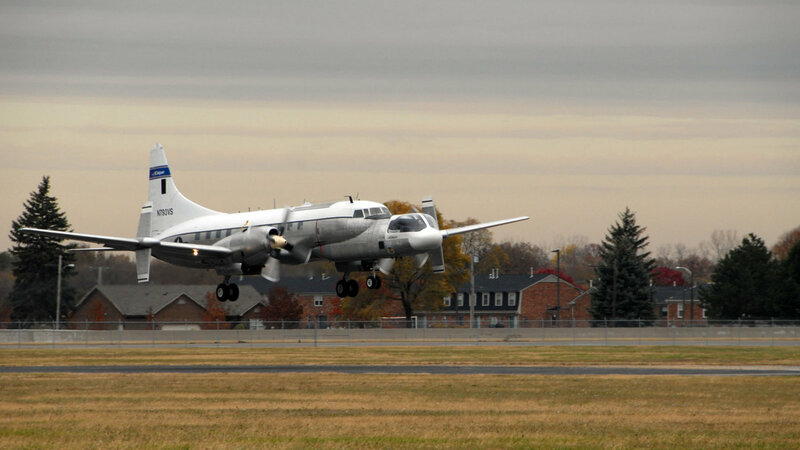 As Norman Weingarten, Calspan's in-flight simulation program manager explained to Buffalo News, "the simulation is done in the actual flight environment so all responses and visual cues are real." 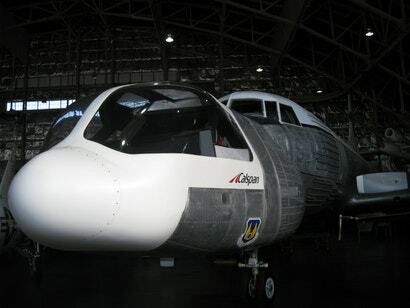 The cockpit nose could also be swapped out for the Avionics Systems Test and Training Aircraft (ASTTA), which would be packed with prototype radar, camera and sensor equipment. 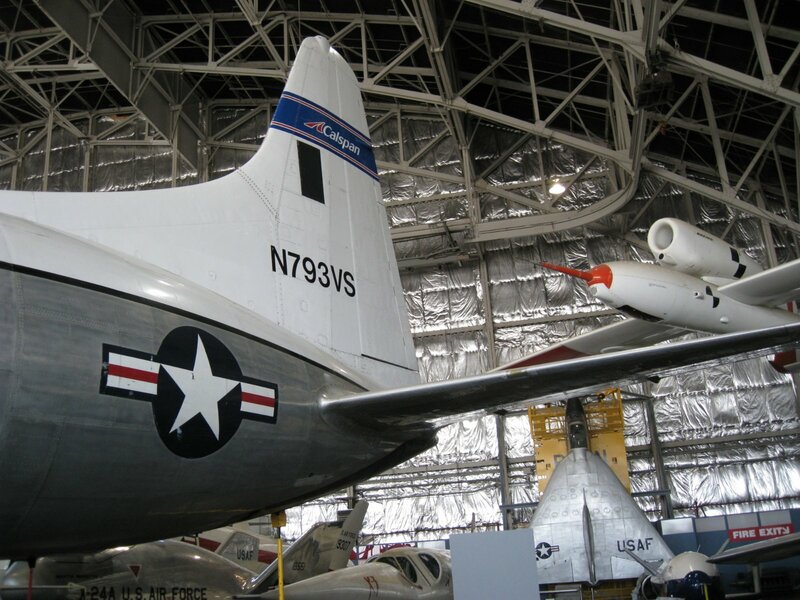 The TIFS first flew in 1970 and began its career as part of research for the B-1 bomber in 1971. 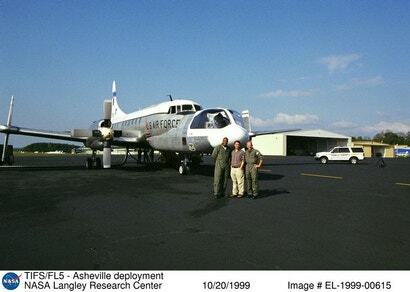 In the 40 years since then the TIFS has flown more than 2500 research flights under the command of more than 180 evaluation pilots — including Buzz Aldrin, James Lovell and Deke Slayton — and has contributed heavily to development of over 30 major aeronautics projects from modern bombers to supersonic transports to the space shuttle itself. 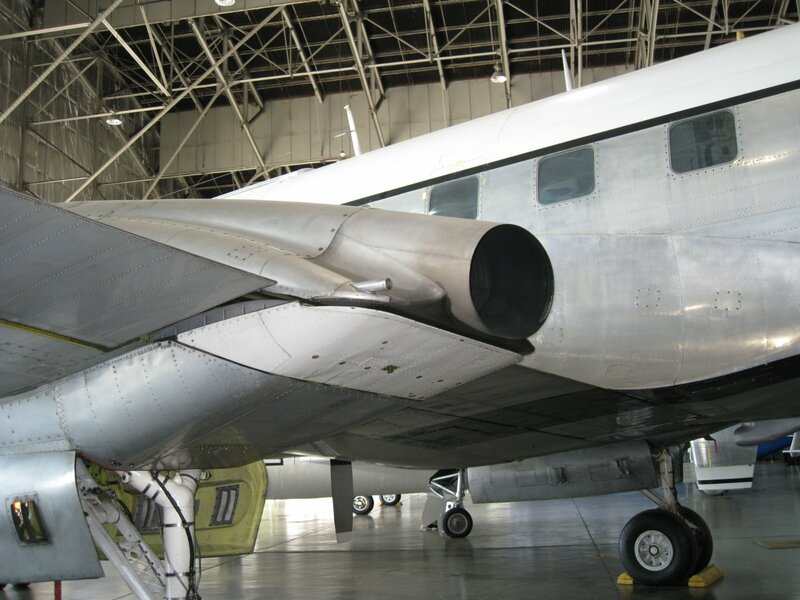 The US Air Force, NASA and commercial aircraft industry all have employed the TIFS in R&D projects over the years. In fact, the TIFS was the Air Force's oldest C-131 Samaritan in operation prior to its retirement to the National Museum of the United States Air Force at Wright-Patterson Air Force Base, Ohio, in 2008.